We all have cleaning to do in our own houses, internally in the house of our consciousness. This inner work is required before we can feasibly clean up the outside world from a position of accurately understanding what to do. Until we do this, until we try to change for the better, act and behave in better ways, the external world will not change on its own. The world and our society is a direct reflection of our collective inner-worlds (thoughts, feelings, etc) which are the cause of the resulting manifestations we co-create into the outer world (actions, behaviors, habits, etc). 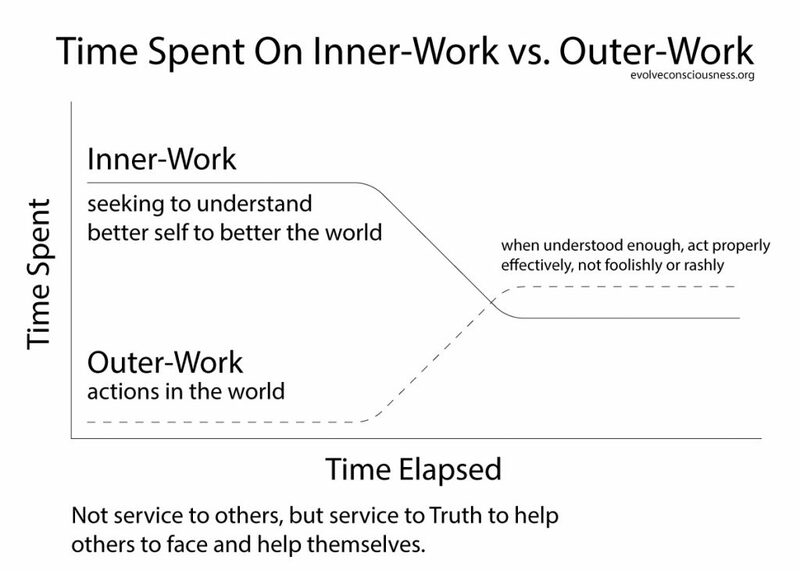 We all have inner-work to do to eventually make the world a better place though our outer-work of actions. 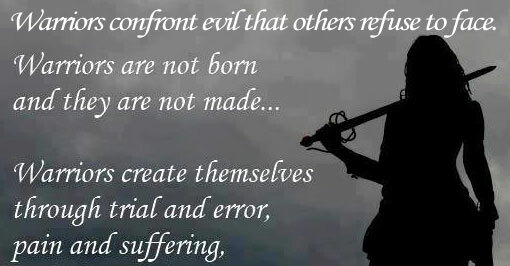 We must have the courage and strength to face reality (what ‘is’, i.e. the truth) within ourselves and without in the world. This required complete honesty and self-respect, in all its beauty and horror, dark and light, positive and negative. When we are fed up of insulting ourselves by allowing ourselves to identify-with and remain attached to illusions; when we are tired of being lied to, deceived, tricked, duped, screwed, etc. ; then we can reach greater awareness from letting go of these lies and awaken from our unconscious state. So long as we are in denial and choose to not look or hear the truth about the reality of our current condition, we will remain in a state lacking aspects of conscious awareness, to remain unconscious, and will not awaken to greater understanding. When someone speaks truth about the world or about us, and we don’t like it, it’s easy to be defensive and dismissive, calling it all “insults”, “judgmental” or other deflective nonsense in order to avoid hearing it. But the truth is we are insulting, offending and judging ourselves by our own actions that we choose not to face honestly. The person bringing to light what we try to hide from, are in denial of, and fear facing, is helping us evolve for the better. Once we face it, we can change it. Until we face it, it won’t change. Ignorance does not bring “light”, “love”, truth, peace, or happiness into our lives. Ignorance is a fools error at avoiding those things which upset the dogmatic illusions we falsely identify with and develop an attachment to. With acceptance of the true state of our current conditions — not resistance — we can face reality/truth (what ‘is’), and learn to overcome those horrors we fear, those demons, darkness, shadow and negatives that are a part of our individual inner-lives and collective outer-lives. A problem when facing the mirror, is that many people think they are “good” people, and since they think they are a “good” person, then they conclude they are not creating negative “bad/evil” outcomes. No need to look honestly, because they already conclude they are not doing anything wrong. People lie to themselves in this way because they are not honest with themselves, do not respect themselves enough to value truth, nor value what is good and what is right if it conflicts with their current way of life or living. Do you want to do what is true, good, and right? Do you want to do what is false, bad, and wrong? How can you know that the actions you take are correct if you are not willing to look at yourself honestly? How can you know your actions are doing good or bad if you lack information, knowledge, understanding, and choose to remain ignorant? We have to be brutally honest with ourselves. We have to admit when we are wrong. We have to admit when we have been fooled and lied to by external conditioning. We have to admit when we are lying to ourselves in fear of facing the harsh truth of reality; that we consent and actively participate in these wrongdoings. Do you want to accept the lies of others and the lies you tell yourself to make yourself “feel-good”? Do you want to continue to deceive and be deceived? Or do you instead want to start respecting yourself to be brutally honest in alignment with truth, with what actually is, to expand your consciousness in understanding and care of the truth about yourself or the world? In history there have been people who have lacked care and compassion for their fellow man. There was slavery of whites against whites, blacks against blacks, color against color. If you have been conditioned to justify a wrong as a right cognitively, you thereby reduce your capacity to feel adequate care and compassion. The “heart” and “mind” are consciousness. You can recognize true feelings of care and good, and change the way you think about something to no longer participate in a wrong, and you can also recognize what is true and good and consciously alter the way you feel about something to recognize how wrong it is by feeling it. If you can’t accurately think about right and wrong, nor feel right and wrong, then your compass in life — your conscience — is severely degraded/damaged. You lack the capacity to distinguish what is right and what is wrong, what is good and what is bad, what is true and what is a lie. We can lie to ourselves, believe in whatever we want to believe because it makes us feel-good about ourselves. Or we can face reality and truly become better by choosing to align our core being with what is right, good and true. The choice is ours. Truth or consequence. Be right or go wrong. 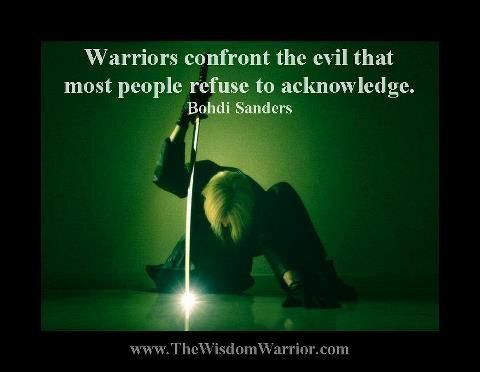 Be a warrior. Have the courage to face the mirror, admit wrongs, and correct mistakes. This is a really beautiful post! Thank you so much for all the work that you do, I’ve been a follower of yours for a while. I absolutely love your infographics and have saved almost all of them and use them as rotating desktop wallpaper. 🙂 I wanted to ask- I just started an instagram account about subjects that I love; truth, philosophy, etc, would you mind if I posted some of your graphics every now and then? With full credit of course not looking to steal anything. I’m just not graphically talented and I think they’re really well done. Thank you either way, hope you have a wonderful holiday! Hi, thank you for the feedback and appreciation for the work 🙂 I appreciate it 🙂 I recently migrated my site and the tables got messed up so I couldn’t see your comment nor reply/post anything… :/ But that’s fixed now. Sure, go ahead and share them. Have a nice holiday season as well. Take care. Peace.